Looking for new ideas for family activities this summer? Check out Weberfest and Kokomo’s First Food Truck Fest! 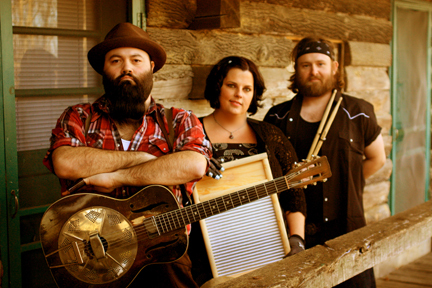 Weberfest will feature many great bands and musicians performing at the Kokomo Arts Pavilion in Foster Park, including Shiny Penny and the Critical Shoes, Broken Arrow, The Pummels, David Ralston Band, Reverend Peyton’s Big Damn Band, and many others. Bring your lawn chairs and/or blankets! Concerts will be held Friday, August 3, 2012 from 4:00-11:00 p.m. and Saturday, August 4, 2012 from 11:00 a.m. – 11:00 p.m. Foster Park is located in Downtown Kokomo near the intersection of Washington and Superior Streets. Admission to all concerts is free. Kokomo’s First Food Truck Fest will be held on Saturday, August 4, 2012 from 4:00-10:00 p.m. in Foster Park. Come hungry and then stay for great music at Weberfest! For more information on both events or to see a complete line-up of concerts, visit www.KokomoSummerSeries.com. For more information on events going on in the Kokomo area this year, call 800-837-0971 or check out www.VisitKokomo.org! Welcome National Depression Glass Association! 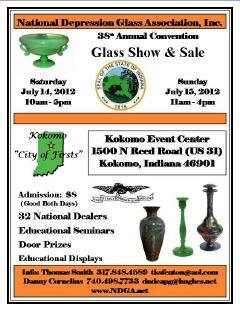 We warmly welcome the National Depression Glass Association to Kokomo for their 38th Annual Convention Glass Show & Sale. The event will be held at the Kokomo Event & Conference Center on U.S. 31 this weekend. The public is invited to attend the Glass Show & Sale on Saturday, July 14, 2012 from 10 a.m. – 5 p.m. and Sunday, July 15th from 11 a.m. – 4 p.m. Admission is $8 per person (and good for both days.) For more information, check out their website at www.ndga.net. We hope you enjoy your visit to Kokomo! Beat the Heat at Kokomo Beach! 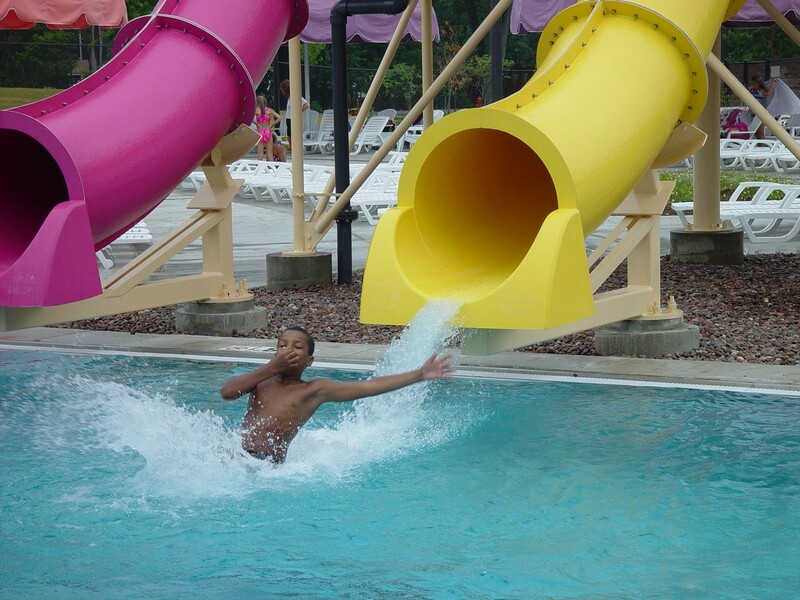 Head to Kokomo Beach Family Aquatic Center to beat the heat this summer! With plenty of space to swim, high-energy water slides, lazy river, splash pad for kids and concessions, it is the perfect place for the entire family to cool off and enjoy a relaxing day at the pool. 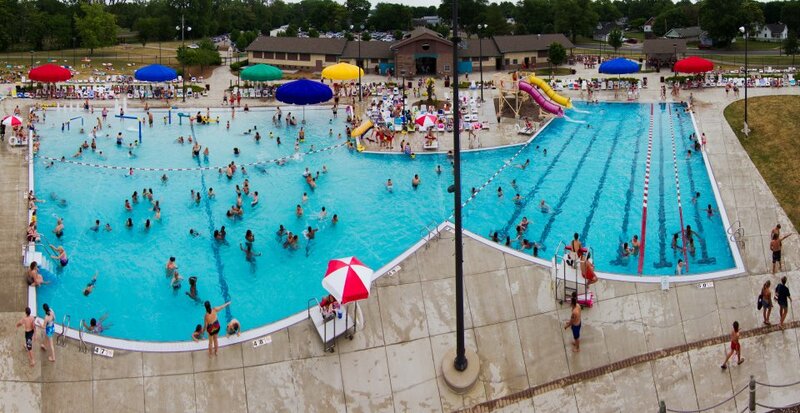 Located at 804 West Park Avenue, Kokomo Beach is open Monday – Saturday 11 a.m. – 7 p.m. and Sunday 12-7 p.m. For admission prices and more information, visit their website or call 765-456-7540.